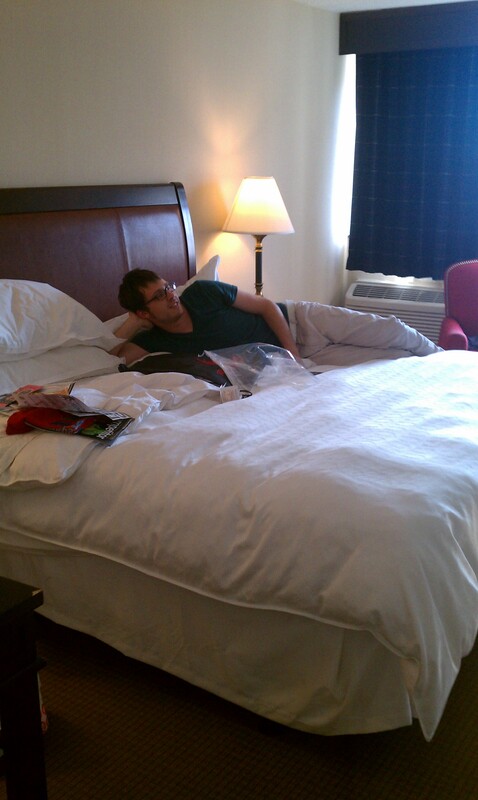 I spent a good amount of Saturday & Sunday in Philadelphia with Cameron and it was a blast. 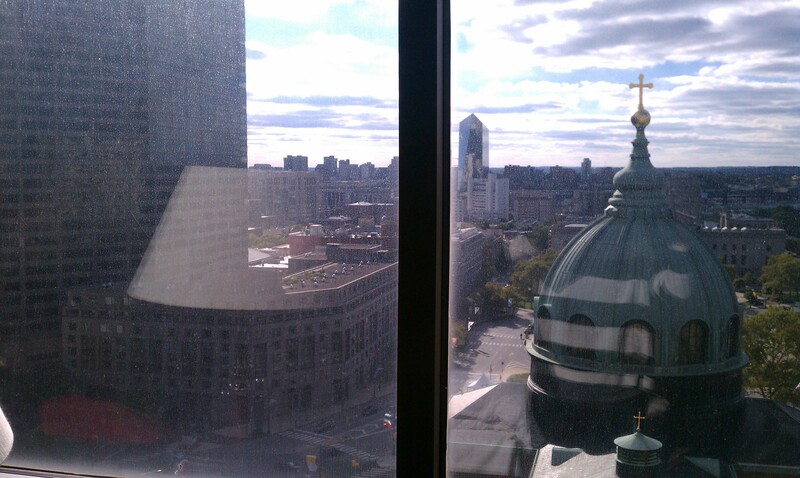 I’ve never seen Philly before and I actually liked it a lot. Keeping this post short and sweet & will recap the actual race soon! I’m still getting used to blogging life, so try to bear with me as I get used to updating closer to real time. We arrived in at the Sheraton Downtown Hotel around 3pm, and headed toward the expo. 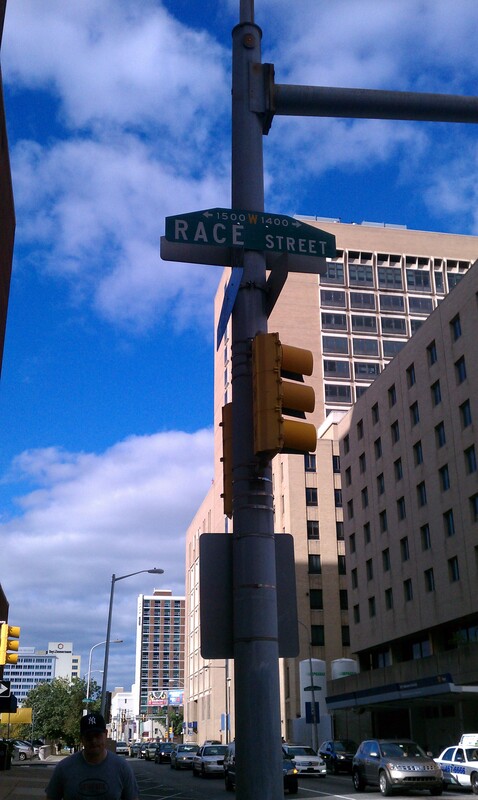 Our hotel was half mile to the expo and half mile to the start line. Since we arrived late on the last day of the expo it was super busy and they were out of free samples of pretty much everything (lame), so we didn’t stick around too long. Ended up eating pasta at the Hard Rock Cafe for my pre-race meal. We walked about 2 miles between the expo, hotel, food & a little sightseeing. 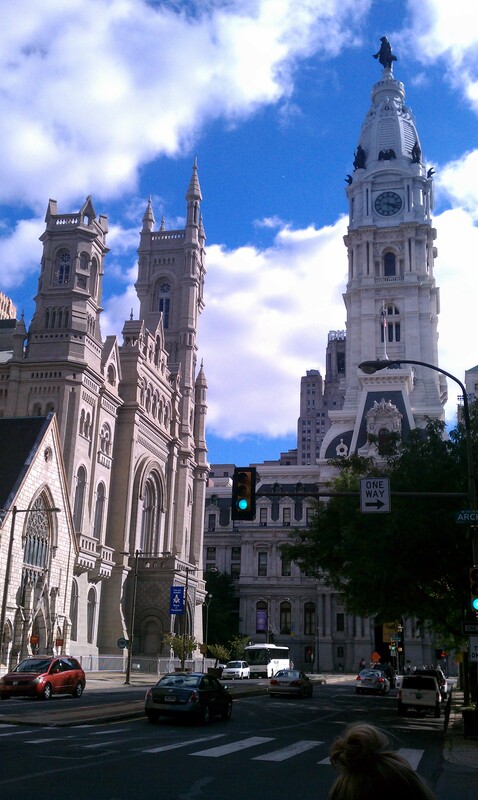 left: church, right: philadelphia city hall. 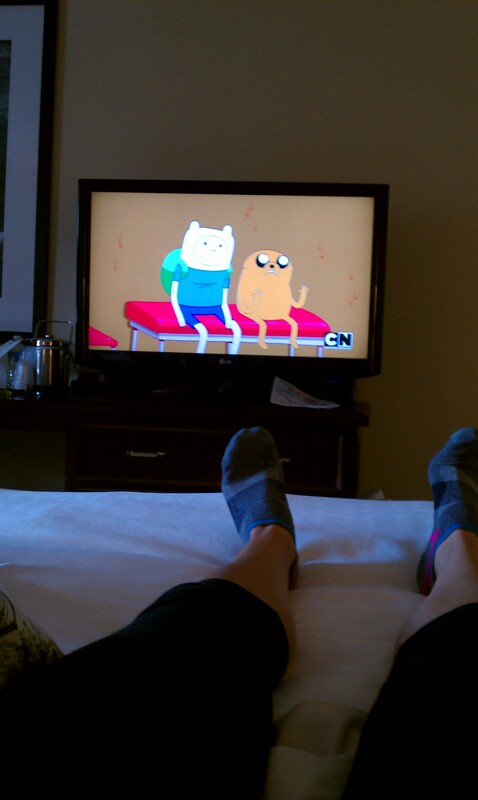 Back at the hotel, I compressed my legs, used my muscle roller, drank Nuun & Powerade, ate potato chips, candy, watched cartoons. Chips for sodium, candy for glycogen stores, and cartoons to relax. Running life, by far is the best. Standard bathroom, but thought i’d share! Total Miles: 28.5 + walking miles! 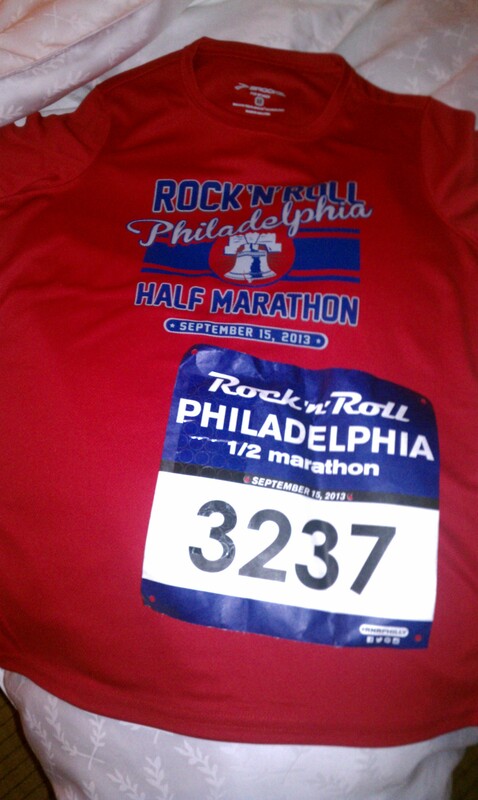 Categories: Uncategorized | Tags: Philadelphia, pre-race, Rock n' Roll 1/2 | Permalink.